What is it? Is it worth anything? How do I get the best deals? Bring the past into your present with this informative workshop. 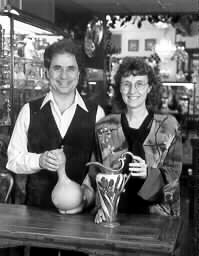 Ron Zoglin and Deborah Shouse, authors of ANTIQUING FOR DUMMIES, share shopping tips, bargaining stories and insights that help demystify the world of antiques.